New Matte Luxe Kits contain 1 matte liquid lipstick and a matching lip liner. New Matte Luxe Kits contain 1 matte liquid lipstick and a matching lip liner. Create the perfect lip by firstly applying the lip liner then the intense matte finish liquid lacquer for a long lasting and intense finish. 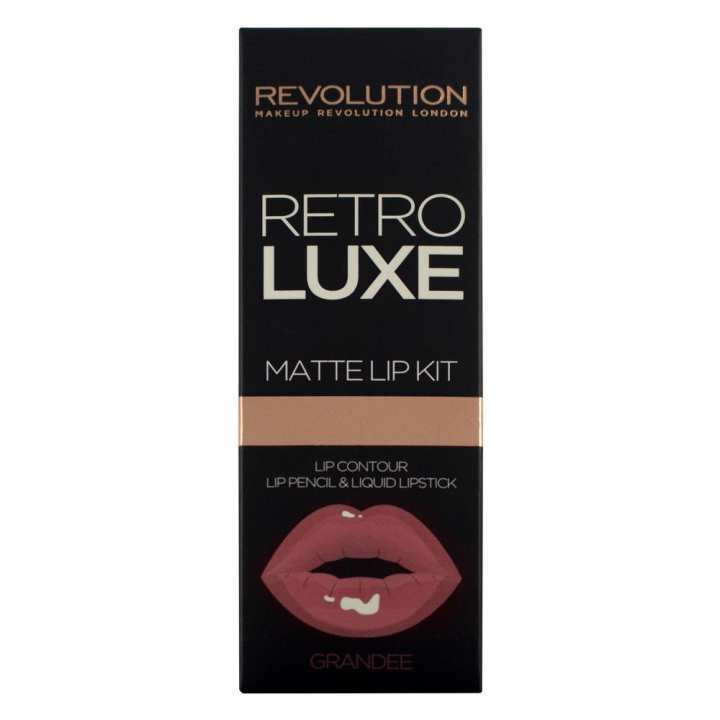 The most highly anticipated lip product from Makeup Revolution is here! New Matte Luxe Kits contain 1 matte liquid lipstick and a matching lip liner,Hydrating, Longwear.